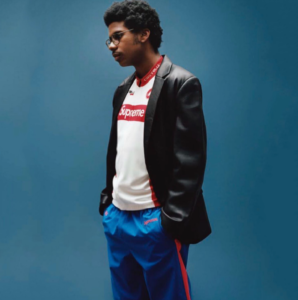 Supreme’s Fall/Winter 2018 season is officially over, but Supreme will be back with their Spring/Summer 2019 collection in a little over a month! We’ve already seen a few leaks for the new season, such as the patchwork jacket/cargo pants, along with a new colorway for their famous Supreme/Hanes boxers which are expected to drop in a new leopard print color way! We’ll likely get a decent amount more leaks before the new season begins, but the exact Supreme Spring/Summer 2019 dates can be found below! 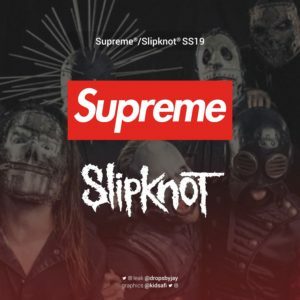 We can expect Supreme’s teaser photo on February 8th. We can expect Supreme’s lookbook/preview on February 18th. We can expect Supreme’s week 1 drop (in-store) on February 21st. We can expect Supreme’s week 1 drop (online) on February 25th. 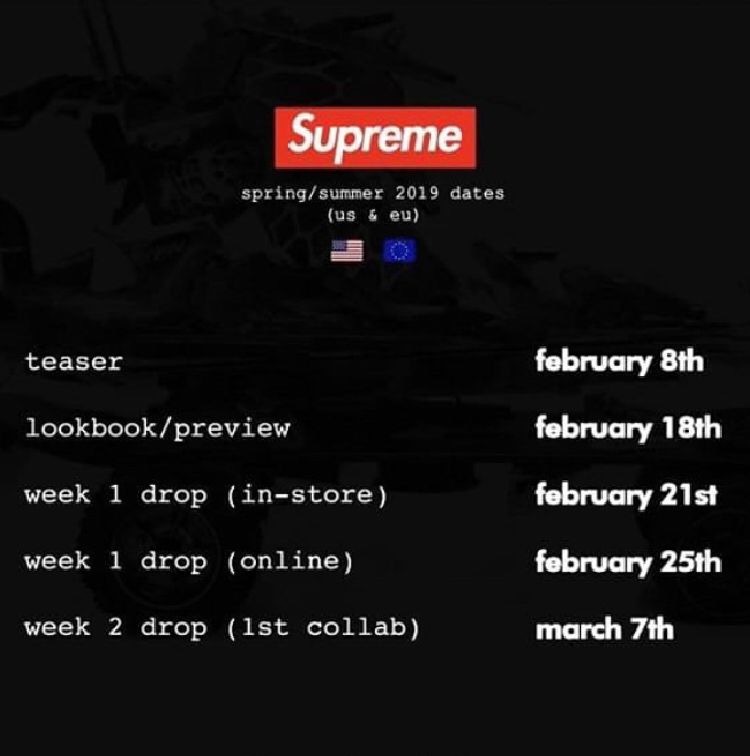 We can expect Supreme’s week 2 drop (1st collab) on March 7th! 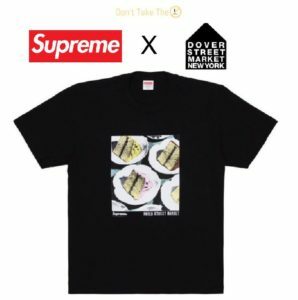 Supreme x Dover Street Market NY Exclusive T-Shirt Dropping!